So your wood floors are all worn down, scuffed up, and damaged from years of wear and tear. You try to strategically place area rugs throughout your home to cover up the really bad spots, but you can only cover up so much. If your floors need to be revitalized, Elvis Hardwood Floor Services is the leading hardwood floor refinishing contractor in town. We’ll take your old, damaged wood and make it look all shiny and new again. We are professionals that specialize in flooring refinishing & repair, and use at minimum – 4-steps in our sanding process for excellent, flat, and smooth flooring results. 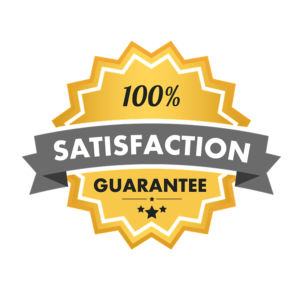 We are confident you will be happy with our service, and we will work with you until you are completely satisfied with your hardwood flooring. For wood floor refinishing and re-coating, call the best in the business, Elvis Hardwood Floor Services. Hardwood flooring is a great thing to have in your home, but it does require care and attention if you want it to last a lifetime. Even if you clean your floors weekly, keep people from dragging sharp objects across them, and even place area rugs over high traffic areas, there will still be a point where your floors are worn down, scratched, or faded. That’s where we come in. 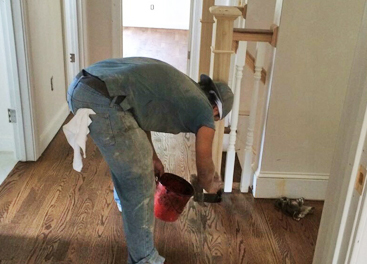 At Elvis Hardwood Floor, we are licensed and insured to give your floors the facelift they need. Every five years or so depending on how much action your floors get, they need to be recoated. We will lightly scuff the current finish layer to help with adhesion and then add a new layer of finish to keep your flooring protected and looking great. Doing this every 5 years will help your hardwoods last longer, and save you a lot of money as well. If the protective coating has come off of the floors, or if you want to change the color of your floors, the sanding and refinishing method is your best option. Give us a call today for a free estimate without obligation.